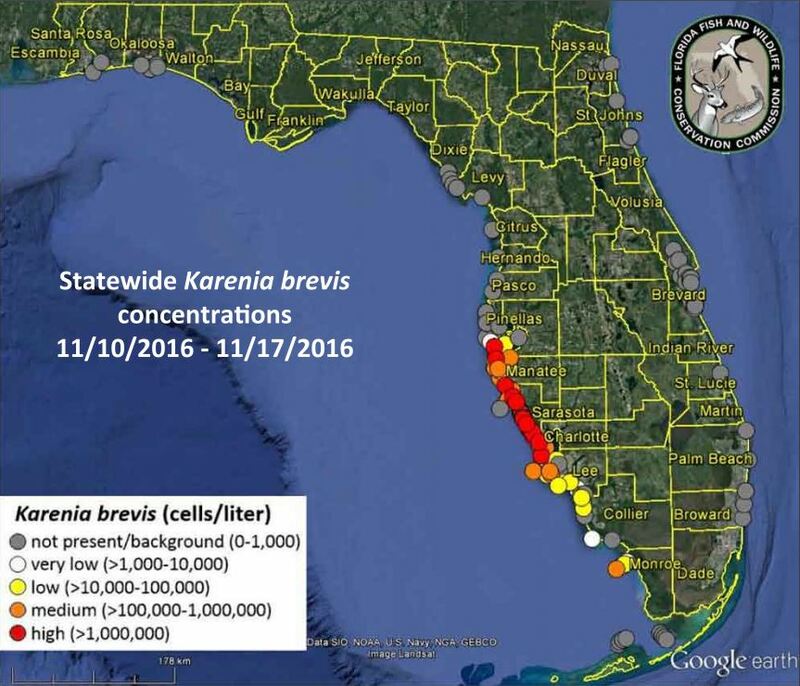 FORT MYERS, Fla. — High concentrations of red tide have been reported along the Gulf Coast, particularly from southern Pinellas to Charlotte County, according to the Florida Fish and Wildlife Conservation Commission. Medium to low levels of red tide were found in Lee County on Thursday, while the concentrations are very low in Collier County, the FWC said. Fish kills were reported on Thursday in Lee County, washing thousands of dead fish ashore and causing respiratory problems for residents. These incidents are commonly associated with red tide.